Ian McNeice (Winston Churchill), Neve McIntosh (Madame Vastra), Iain Batchelor(Young Winston), Melody Grove (Carmen / Housekeeper), Owen Aaronovitch (Luis Ortega), Leighton Pugh (Reggie / Jorge / Clerk), Gyuri Sarossy (Lt Fleming), Bethan Walker (Bragnar), James Joyce (Connolly), Ken Bradshaw (Colonel Fischer), Emily Woodward (Louisa), Hywel Morgan (Von Moltke), Roberta Taylor (Maid), Mark Elstob (John Logie Baird / Kaiser Wilhem III), Nicholas Asbury (Visguard / Captain Morgan / Special Branch Officer), Alisdair Simpson (Sidney Wheeler / Field Marshal Brooke), Susan Tracy (Diane Wheeler / Miss Cunningham), Simon Chandler (Corporal Arthur Dimes). Other parts played by members of the cast. Buy The Churchill Years - Volume Two from Amazon now. We join Winston at the tender age of 21, in Cuba where he has his first brush with death. The main drive of the story centres around a seemingly innocuous cigar cutter , that has a pearl embedded in the handle. It was passed to Churchill during his visit to Cuba – but as the story unfolds, it seems that a lot of rather dodgy characters are looking to get their hands on the cigar cutter. Madam Vastra gets caught up in the proceedings (there is a wonderful nod to those other famous London sleuths of the era, Sherlock Holmes and Jago and Litefoot), and before we know it the eleventh Doctor is also onboard, both on a mission to save our future Prime Minister. 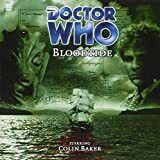 This story has three narrators – Old Winston (Ian McNeice), Young Winston (Iain Batchelor) and Madame Vastra (Neve McIntosh). I believe that it is because of this, that the story comes across as nicely dynamic. Iain Batchelor compliments Ian McNeice’s older Churchill perfectly, and Neve McIntosh confidently takes over the story telling from Vastra and the Doctor’s point of view. Young Winston is a very enjoyable romp that is both fast paced and very lively. Although there is plenty of gravity to proceedings, there is also a fair amount of humour (the idea of young Churchill clumsily flirting is quite an amusing one). All of the cast are brilliant, enough so to make me wonder if Big Finish might be planning a Young Winston series for some point in the future. Although, from the closing moments of this story, I’d say that a Big Finish Vastra/ Paternoster spin off is an absolute dead cert. Upon discovering that the German’s are on the brink of developing a weapon that can make a mountain disappear, our Prime Minister despatches a team of specialists to Denmark to investigate. There they discover an unassuming woman who might be a lot more than she seems. As the story unfolds an alien arms deal is uncovered, who is keen to escalate the war into something far more deadly. All the while, Winston has to put up with a disapproving ninth Doctor, who of course, seems to know exactly whats going on. Human Conflict is a great morality tale that explains that sometimes just because we can do something – it doesn’t mean that we should. The cast are all great, with a special mention to Bethan Walker, who plays the arms dealer who has absolutely no morals. My only gripes regarding this story are Ian McNeice's take on the ninth Doctor, his northern accent isn’t quite right. Also that i found the appearance of the Doctor quite frustrating as he rather annoyingly kept flitting in and out of proceedings. So, Winston Churchill gets to grips with other dimensions….of which he does a very good job. Suddenly zapped into another dimension by an alien mirror he finds himself in the company of the ninth Doctor and Louisa (played by Emily Woodward). In this new world the Germans won the Great War, Winston, the Doctor and Louise are fugitives, trying to avoid the might of the Kaiser’s Empire, whilst trying to get to the TARDIS. I was Churchill's Double has some lovely nods to the history of Doctor Who in this story. The use of ‘howl-around’ as a hypnotic tool is a great one. Roberta Tovey (Susan from the Dr Who films of the 1960s) playing the sinister maid is another. The story is in some ways quite reminiscent of The Idiot’s Lantern, especially as at one point we find the villain of the piece staring out of a television, also that a large portion of the action takes place in Alexandri Palace. There is also the mention of the Time War. The story though is a bit of a mess, and the characterisation of the ninth Doctor is, at times too…..slapstick. It’s all still enjoyable, although it could just have done with being just a bit tidier. Winston Churchill is going incognito. On V.E. Day. In central London. His idea of a disguise being a dodgy hat and a ropey fake moustache. Of course it will work! The war is over and finding himself at a loose end, Winston becomes determined to investigate some strange power cuts that are blighting the capital. Passing a police box (Could it be? No…..), he meets some locals, and together they stumble upon an intergalactic bounty hunter, who is holding someone prisoner in a very high tech cage – I wonder who that prisoner could be? The very image of Churchill trying to pass himself off as a member of the public is a fantastic idea, and of course it is something that he fails at miserably. Which makes Churchill Victorious a perfectly fantastic romp to close this box set, and is easily the most enjoyable story of this quartet. Robert Khan and Tom Salinsky have great fun with pushing the boundaries of the main character. Giving a knowing wink to the audience when it is discovered that he knows a little more about all things alien than he probably should. The banter between Churchill and Visguard (the bounty hunter, here voiced with megalomaniacal skills by Nicholas Asbury)is fantastically written and played. The guest Doctor here is the tenth, and thankfully both the writers and McNiece capture his essence perfectly. Having really enjoyed Volume One of the Churchill Years, I was concerned that this new set wouldn't quite come up to scratch - but fear not, they are every bit as enjoyable and expands the character of Winston Churchill even further. Cast: John Barrowman (Captain Jack Harkness), Tracy-Ann Oberman (Yvonne Hartman), Alexandria Riley (Ng), Paul Clayton (Mr Colchester), Samantha Béart (Orr), Jonny Green (Tyler Steele), Kai Owen (Rhys Williams), Tom Price (Sgt. Andy Davidson), Eve Myles (Gwen Cooper), Rachel Atkins (Ro-Jedda), Ramon Tikaram (Colin Colchester-Price), Terrence Hardiman (Escape), Sanee Raval (Xander), Kezrena James (Serena), Laura Dalgleish (Newsreader), Kerry Joy Stewart (Waitress), Garnon Davies (Rory), Joseph Tweedale (Assassin), Richard Elfyn (Inspector Bernstein), Aly Cruickshank (God Botherer), Marilyn Le Conte (Sue), Rick Yale (Darren), Luke Williams (Hywel), Charlotte O’Leary (News Reporter). If there’s one crime of which reviewers can’t possibly accuse Big Finish’s first full season of Torchwood missions, it’s conforming to fans’ expectations. Few would’ve blamed the studio for playing their cards safe with Aliens Among Us, particularly considering how straying from the beaten track to Stateside waters terminated the mature Doctor Who spin-off’s televised tenure. Yet rather than erasing Miracle Day from canon and resurrecting past teammates like Ianto and Toshiko for the sake of restoring the show’s original status quo, producer James Goss and his intrepid team of scribes have boldly committed to a new team, an embattled new incarnation of Cardiff ruled by alien mobsters and numerous emotionally devastating twists with series-altering ramifications. Prepare for a disorientating dive into the deep end of recent Torchwood mythology with this fast-paced mid-season premiere as the Red Skies plot arc developed over the course of Season Five comes to a head. With the terrorist group seemingly plotting a number of violent attacks across the city so as to rid Cardiff of its extraterrestrial immigrants, it’s up to Jack, Gwen, Orr and Mr. Colchester to fend off these plots or at least minimize their blast radius before it’s too late. The only problem? They’re a team divided thanks to Jack’s recent sinister activities, not to mention the return of one Yvonne Hartman in the Hub’s vaults. Indeed, that reports of Ms. Hartman’s demise in“Doomsday” were seemingly exaggerated comes as a welcome surprise by the end of “Poker Face”, since MVP Tracy-Ann Oberman’s presence injects the episode with as much grim humour and ruthless energy as it does unpredictability surrounding the nature of Yvonne’s survival. Better yet, whereas Torchwood often left its titular organisation’s long-running history shrouded in ambiguity on-screen, Oberman and John Barrowman’s electrifying rapport as their righteous commanders-in-chief vie for supremacy also allows for new insight into their shared history and the secret agency’s various teams interacted prior to the Battle of Canary Wharf. It’s testament to playwright Tim Foley’s focused script that its headline act doesn’t overshadow the fascinating internal conflicts rife amongst the team in the wake of Part 2’s “The Empty Hand” either; quite to the contrary, just as much of its running time is dedicated to exploring whether the ends justify the means when it comes to Jack’s alignment with Red Skies to save Cardiff. Can the team possibly move forward knowing that its leader would willingly fuel hate crime and risk thousands of lives to best Ro-Jedda’s Sorvix hordes? As with much of Part 3 and of Aliens Among Us as a whole, the answer may shock listeners just as it did this reviewer, not least given its profound implications for what comes next. A real Orr de force, this one – pun fully intended. Clearly Goss well understands the need for series plot arcs to take a backseat, since here he tasks Joseph Lidster with tackling an issue largely separated from Ro-Jedda’s mayoral scheming but no less potent as a source of narrative inspiration: social media. Predictably letting Orr loose online to solve the mystery of fate-bearing cards spreading across the city isn’t the wisest of ideas but doing so affords Samantha Béart the rare opportunity to showcase her actorial mettle as the character is tested to her limits by the raw vitriol, prejudice and hatred that she must channel to discover why otherwise innocuous civilians are taking lives without almost any remorse. As always, that’s not the only problem facing Torchwood Three in this instance – still reeling from the – spoilerific but suffice to say monumental – cliffhanger left by “Poker Face”, they’re dealing with a volatile new status quo which again forces each team member to consider the lengths to which they’re willing to go to keep Cardiff from tearing itself apart. Such quandaries only work in Paul Clayton’s favour as Colchester, whose increasingly close friendship with Orr makes the experience of watching her endure immense psychological pain to crack the case that much more harrowing – and thus dramatically satisfying – as a result. Great performances usually necessitate a great script to provide worthy dialogue, though. Let’s give credit where credit’s due to Lidster, then, without whom “Tagged” might lack the emotional poignancy found in Serena’s topical plight as a sexually abused police officer, or the cathartic moments of levity granted by Gwen and Sergeant Andy Davidson’s bemusement at events on the streets, or the harrowing final scene which casts one of Torchwood’s most loyal stalwarts in a chillingly unsettling light. From his TV contribution to the franchise with 2008’s “A Day in the Death” to today, Torchwood remains safe whenever it lies in Lidster’s capable hands. Yet what of Helen Goldwyn, whose only contribution to the range until now has been a cameo in last year’s throwback boxset Torchwood One: Before the Fall? Like Lidster, Goldwyn aims to explore another renowned facet of modern-day society, specifically the puzzle-based communal pastime which gives “Escape Room” its name. The difference here lies in said setting’s acting as a metaphorical springboard for this relative newcomer to examine the states of the Cooper and Colchester-Price families, with both relationships coming under greater strain as Alexandria Riley's Ng strives to keep her possession of Gwen’s body a closely-guarded secret. This approach in turn once again allows Clayton, Riley, Kai Owen and Ramon Tikaram as Colin Colchester-Price to take advantage of their increased airtime and remind fans why the series remains at its best when challenging and evolving its relationships rather than always pitting characters against Earth-threatening challenges. Over the course of the hour each player of this explosive game-turned-death trap must test their loyalties against their desire for self-preservation, with no-one’s fate guaranteed and Goldwyn’s intelligent integration of red herrings here and there ensuring the lister remains either at the edge of their seat or fascinated to discover how the true last-minute twists will affect future episodes. Perhaps the only noteworthy shortcoming which this reviewer could detect in “Escape Room” connects more-so to its context within the grander scheme of Aliens Among Us than its compelling semi-standalone tale. Steering clear of spoiler territory, the knowledge of Ng’s true identity as well as the overall Sorvix / Red Skies arc taking priority in Season Five’s final outing mean that a couple of seemingly irreversible watershed moments aren’t explored in as substantial depth going forward as one might hope, serving as devices to push said arcs towards their climax more than anything else. While that seems something of a missed opportunity, though, as a standalone piece Goldwyn’s Torchwood debut provides an utterly gripping hour of tension and emotionally wrought drama which no fan will soon forget. Among the most heinous clichés in the marketing book is proclaiming that a TV drama’s protagonists will “never be the same again” once the credits have rolled on its latest season finale. Too often we’re promised as much only to discover that the supposedly groundbreaking changes instigated by that show’s writing team are nothing of the sort or will inevitably be retconned come the next season premiere, for fear of the brand losing followers by axing key characters, leaving plot threads hanging or delivering near-impossible cliffhangers to resolve. That’s not remotely the case with “Herald of the Dawn”, however. As well as reintroducing Jonny Green’s increasingly besieged ex-journalist Tyler Steele and Jack – who’s absent for much of this boxset with good reason – into the fray, James Goss’ magnificent season capper places myriad other responsibilities on its plate, from resolving Ng’s arc to revealing the rationale behind Bilis Manger’s mysterious Part 2 appearance to confirming that Ro-Jedda and her Sorvix clan aren’t going anywhere either. If manipulating so many pivotal chess pieces at once seemed an impossible task, then Goss makes the endeavour look enviably simple, both providing satisfying closure on many fronts and revealing that other elements are but the tip of the iceberg in a far more audacious multi-season game-plan. Yes, you read that last sentence correctly – as if there were ever any doubt, Goss and director Scott Handcock confirm their intentions for more regular Torchwood chapters beyond Aliens Among Us in the accompanying behind-the-scenes tracks, although to think otherwise would’ve been ridiculous after the infuriatingly tantalising note on which “Herald” concludes. 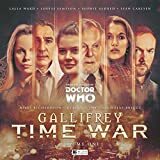 It’s not often that this reviewer finds himself completely breathless at the end of a Big Finish production, but I’ll gladly confess to yelling in exasperation at the top of my voice in a crowded Tottenham Court Road tube station as the series’ iconic theme tune kicked in to signal Season Five’s end credits. How we’ll endure such an unbearable wait between now and Season Six given the colossal cliffhanger left here – and a particularly poignant coda by Russell T. Davies leaving a Torchwood icon’s future uncertain – is beyond yours truly. That’s a sure-fire sign of a tremendously successful season finale, though, and a wholehearted reaffirmation of Torchwood’s undoubtedly prosperous future at Big Finish. Between the studio’s half-year runs of monthly adventures situated in Torchwood Three’s past (our reviews of which will resume in March with The Death of Captain Jack), their delightful Torchwood One boxsets with Oberman at their firm helm and April’s long-awaited team-up boxset Torchwood Believe set to reunite the show’s original cast, this once-tarnished brand couldn’t lie in safer hands today, hence why this reviewer can’t wait to see what Goss and company have next up their sleeves. Book One of Doctor Who: The Lost Dimension, released by Titan Comics is all about setup. If the image of seeing Doctors Nine, Ten, Eleven, and Twelve standing together, each reacting in their own characteristic way, to some unseen threat (as depicted on the cover) gets you excited...consider it a bit of a tease. Stories in which more than one Doctor feature prominently can be structured a few different ways. The two most common ways feature each Doctor in their own story which relates to the other in some way, until the stories collide, or, something forces these Doctors together rightaway. The Lost Dimension takes advantage of the former option with mixed results. While the draw to this crossover event is, undoubtedly, the chance to experience our modern Doctors bringing their vastly powerful minds together to solve some universe-shattering problem, the creative teams behind it make you wait. It can be equal parts thrilling and frustrating. Seeing the return of the Doctor's "daughter" is fun, especially her interacting with Twelve, but the time spent explaining how she got their slows everything down to a crawl. Her arrival catapults an epic story into motion, Upon her reveal, the reader is ready to take off through time to find Nine, Ten, and Eleven. Unfortunately, the story breaks to let us know what Nine's been up to, and as cool as it is to see he and Rose hanging around with Lady Vastra and her...companion?...the adventure leaves a lot to be desired. Doubly for Ten taking on an armada of Cybermen. At any other time, the story would be heart-poundingly exciting. It's a station under siege by lots and lots of Cybermen! Given the impending menace that we certainly know will bring these Doctors together, and an overabundance of technobabble weighs this story down hard. It's simply too difficult to become invested in the base when you can't understand much of what's being said and you're waiting for more Doctors. Perhaps the most interesting story in the book tells of Eleven, on ancient Gallifrey, assisting Rassilon and other Time Lord scientists in developing TARDIS technology. On its own the story is exceedingly well done, with all the hallmarks of a great Eleventh Doctor story. It's mind-bendy, funny, suspenseful and a little sad. That's Eleven through and through. Beyond that, the story appeals to any fan of the ethereal "Cartmel Masterplan" and the concept of The Doctor going by another name in Gallifreyan lore. The inclusion of it here is immensely gratifying, making Eleven's story by far the most entertaining of the bunch. After such a gargantuan, unbalanced setup, one can't help but hope that the rest of the story, or stories, does justice to that phenomenally promising cover.